Bella Luna Winery started some 40 years ago in the hearts and minds of its founders, Kevin Healey and Sherman Smoot after they left high school. Kevin had just returned from honorably serving his country in Vietnam and Sherman, a Navy Fighter Pilot, wasn’t far behind. 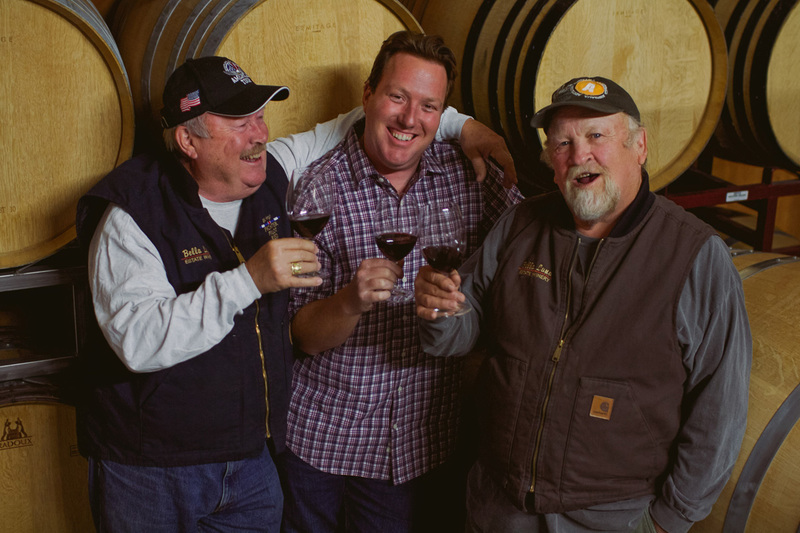 Having grown up together as best friends in the Paso Robles AVA, they have always shared a passion for wine. Bella Luna Estate Winery is a small, family owned winery that focuses on unique varietals, making small lot productions of premium red and white wine, and is located on ten acres in the Templeton Gap District of the famous Paso Robles AVA. Sherm and Laurie's son, Jimmy and his wife, Shelly moved back from Napa in January 2015 to help Sherm and Kevin so they could relax a little more. Sherm has been buzzing around more lately and Kevin concentrates more on the vineyards along with enjoying his off days fishing. Kevin and Cam's daughter Nichole, and husband Lukas, moved back from Australia in August and have joined Jimmy and Shelly as the next generation continues to take the helm at Bella Luna Estate Winery.